hi feli :( sooo idk if ur still active here, im not, but i really miss u and i also miss skydreamer and wildlife and everything. Hey Feli. 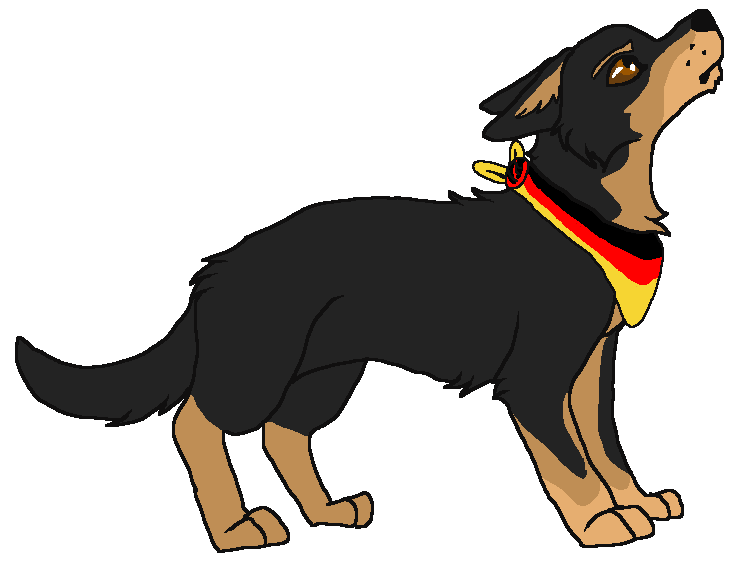 Afraid I had to replace my old phone and LOST Kaiser's shepherd form ?? I kind of want his new character to have the ability to shift between the two, so if you could link me to them both again pretty please?? Oh, you mean the art I had for him? I'm sure I have it saved somewhere, I'll go find it!